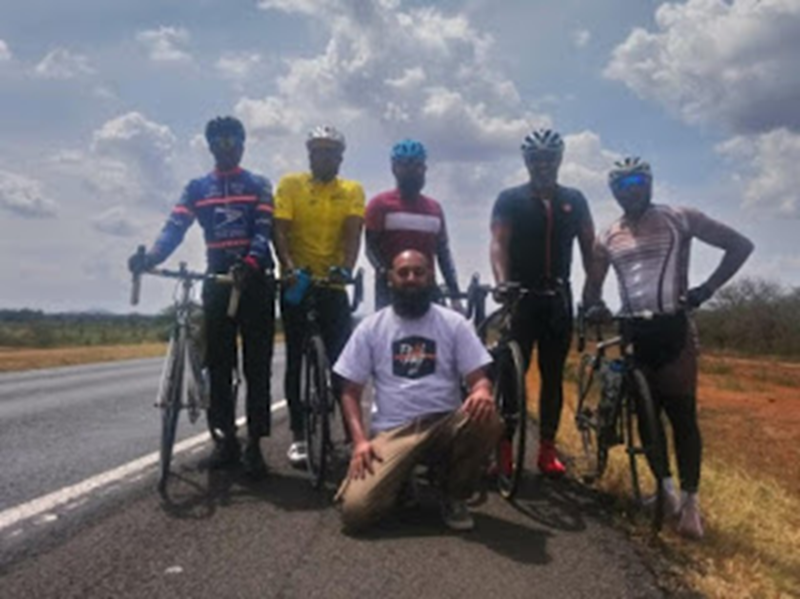 A team of four cyclists from Nairobi on Monday started a three-day pedalling of 600km to Malindi in preparation for Hajj tour on June 10. Team member Mohamed Azan said besides Hajj, they will also be raising awareness and incentives for the orphaned through Al-furqan project. Azan said they are targeting to raise Sh200 million. The other cyclists are Mohamed Salim, Osman Eidrisa and Anwar Mansor. They are supported by Azan, Ibrahim Kassim and Zakir Khalin who are driving two vehicles. Azan said the journey started at Parklands in Nairobi at 7 am. By 2pm, the seven were at Makindu, Makueni. “We are going on a speed on between 50-70 km/hour,” he said on the phone. Azan said they are training for Hajj visit that will cover 3,500kms. Hajj is an annual Islamic pilgrimage to the holiest city for Muslims, Mecca, in Saudi Arabia. The tour is a mandatory religious duty for Muslims. It must be carried at least once in their lifetime by adults who are physically and financially capable. Azan said they will leave Makindu for Voi on Tuesday. Voi-Mariakani route will be covered on Wednesday before the final stretch of Mariakani-Malindi on Thursday. “On Friday will be around Malindi-Watamu before we cycle back to Nairobi on Saturday,” Azan said. For Hajj, the seven will pass through four countries in two continents, Africa and Asia. “We will start in Kenya, Ethiopia, Sudan, and Saudi Arabia where will go through Jeddah then Medina. We will come back by air,” Azan said.